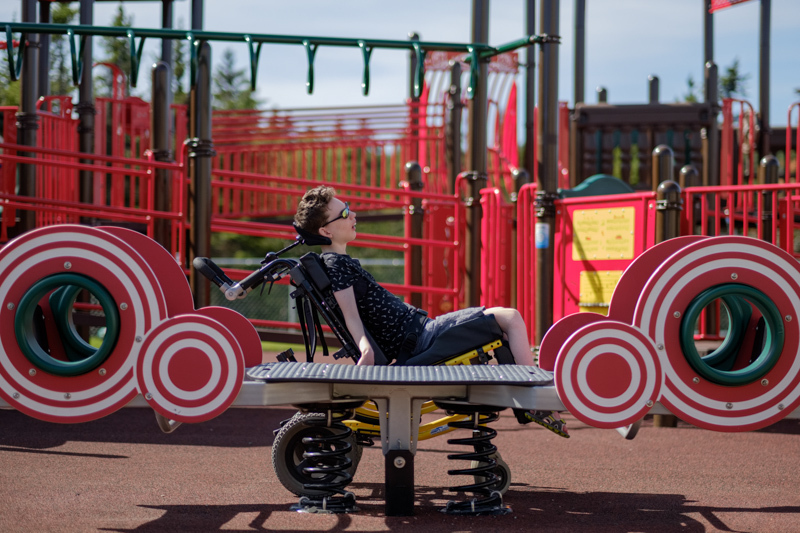 A while back, I wrote about the grand plans that Easter Seals NL had in the works for a new accessible park and playground (see that post HERE). Well, a year has past, and the state-of-the-art playground is now a reality! 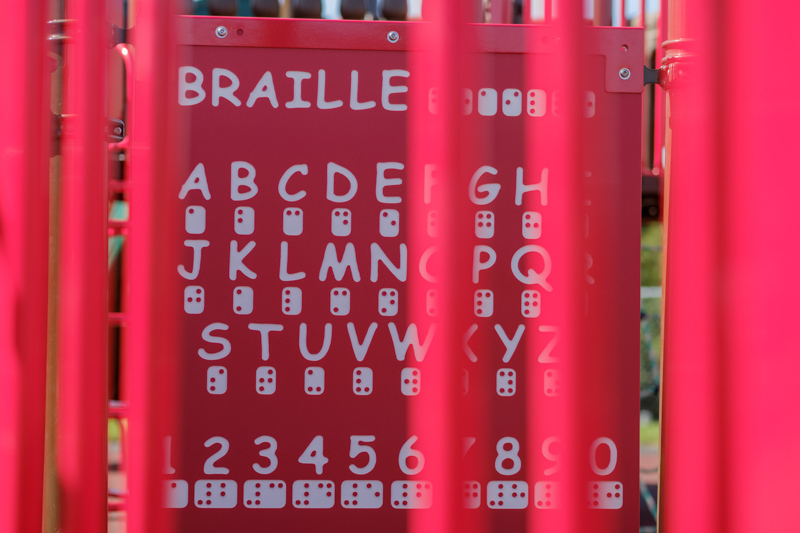 The grand opening was held on June 14th, and since then, the play space has been full with children of all ages and abilities playing together. It is a beautiful thing! 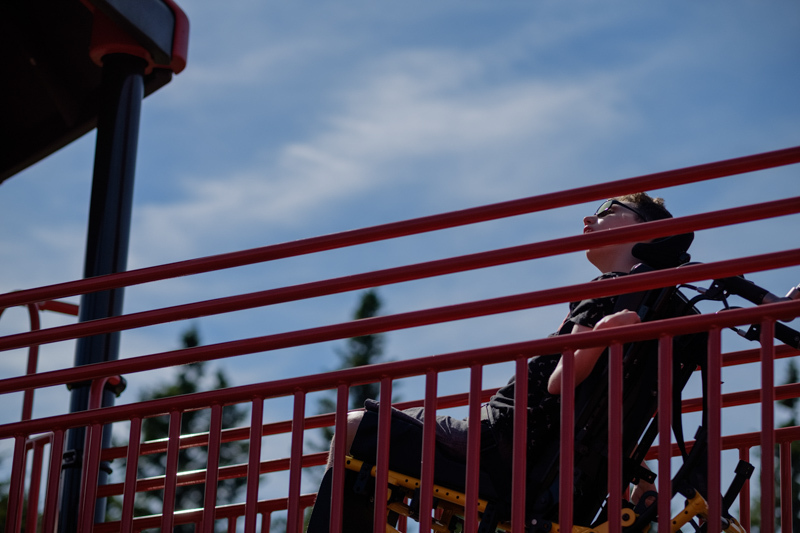 This is the first fully accessible and inclusive playground in our province, and it was greatly needed. All children should have the opportunity to play! Before now, Brennen and I would drive by neighbourhood parks without a second thought. I knew he couldn't play there. 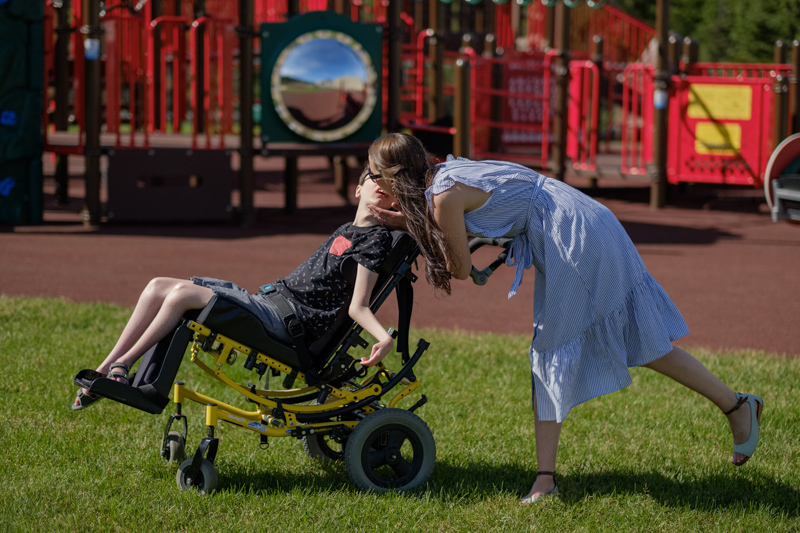 The bumps and steps were a barrier, and the wheels of his chair would get stuck in the pea gravel before we even got to the play equipment. It was no use even trying. 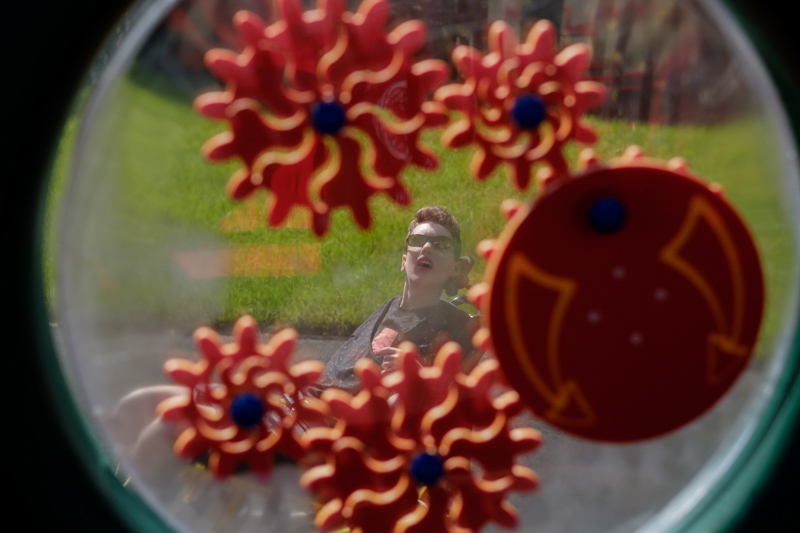 This new playground on the grounds of Easter Seals House on Mt. 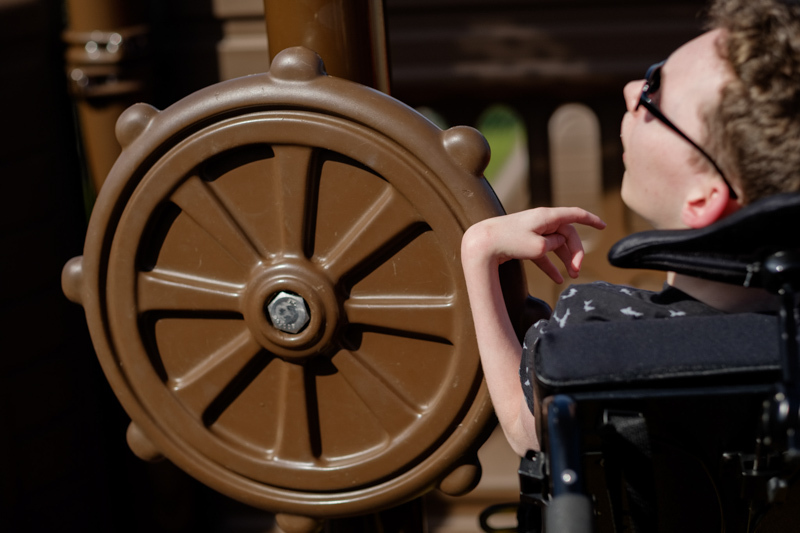 Scio Road is more than just accessible. 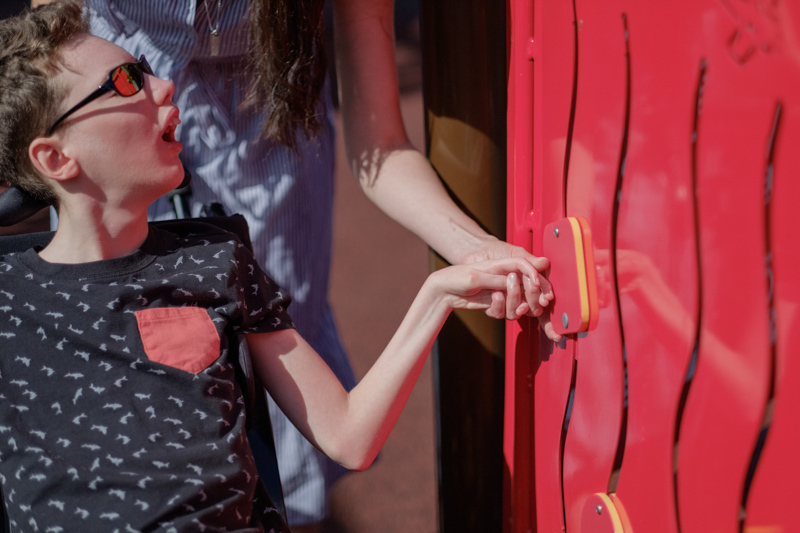 It is welcoming to all children, regardless of ability. 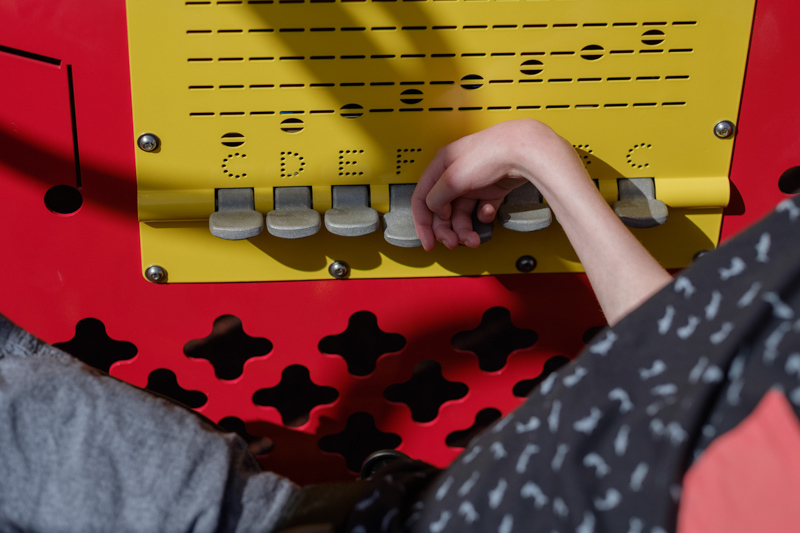 Children here can play together, make friends, take risks, and challenge themselves to try something new. 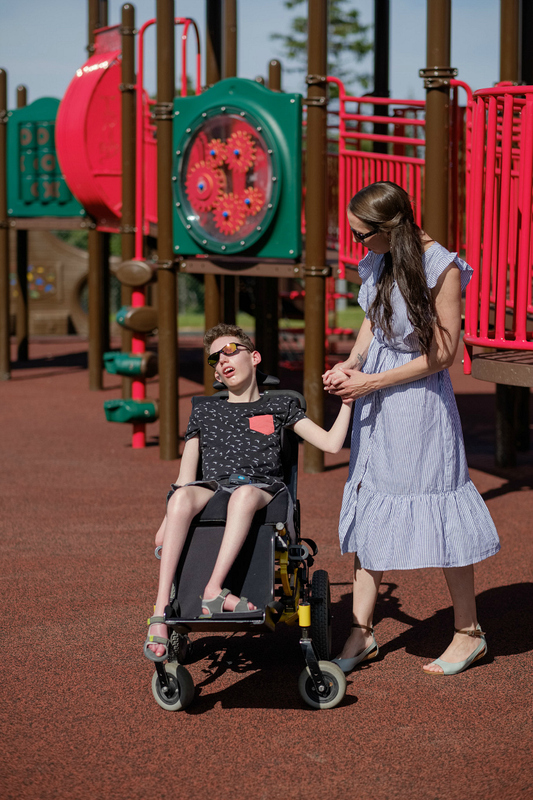 In addition to offering a wonderful experience for our children, this playground offers a reprieve and a sense of normalcy to families like mine who face significant challenges on a daily basis. 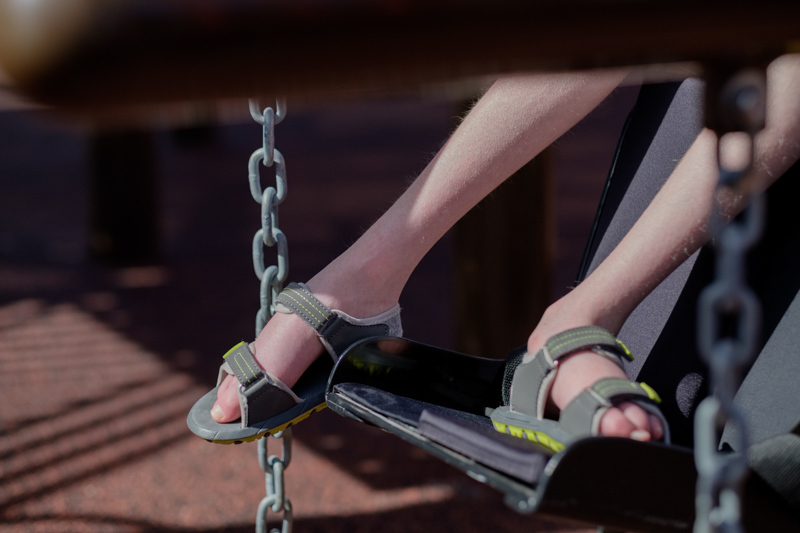 This is a place where we can let our kids just be kids, and not worry about whether or not they will fit in, or if they will be able to participate. 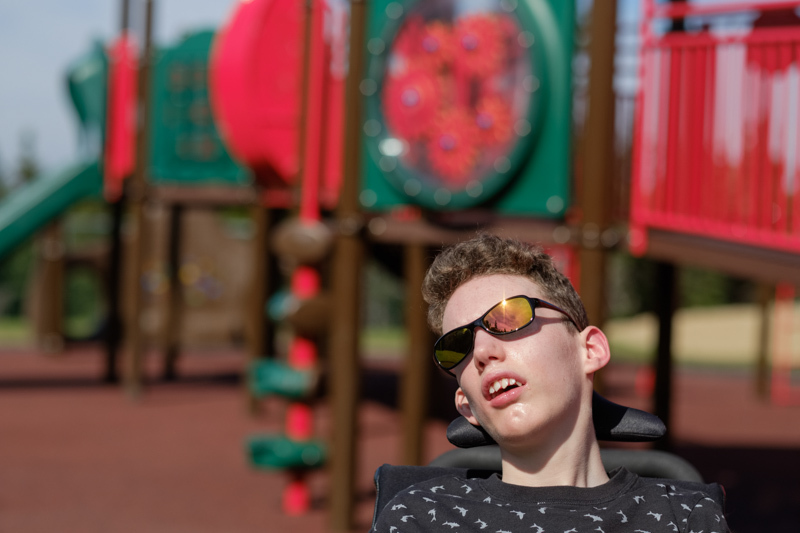 Brennen still needs help to interact with many of the features of the play structure, but the ramps and soft surface make it easy to navigate and fun to explore. 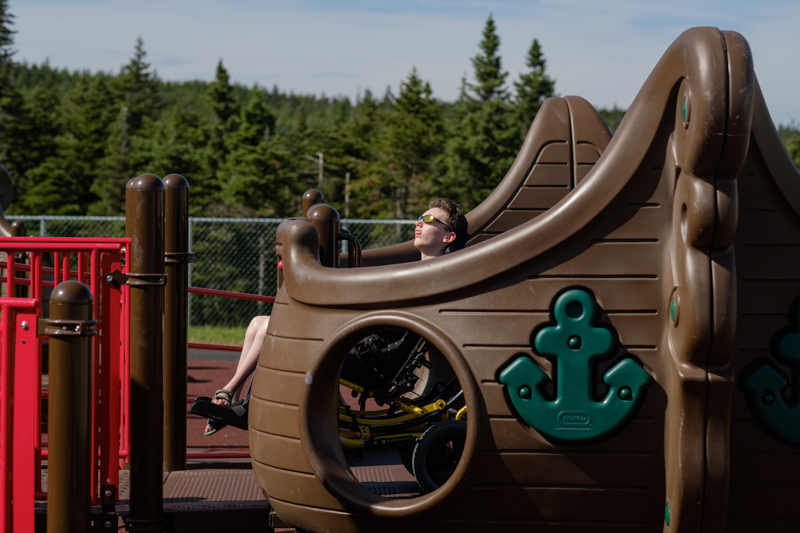 This playground is just Phase 1 of the Easter Seals NL Accessible Park Project. Future plans include a gazebo, sensory garden, amphitheatre and hardcourt surface. We can't wait for that! 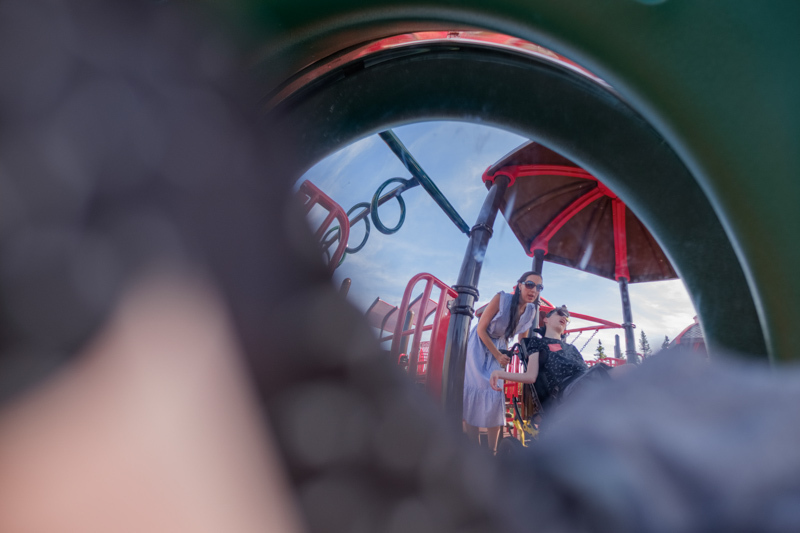 Here are some photos from our time at the playground! 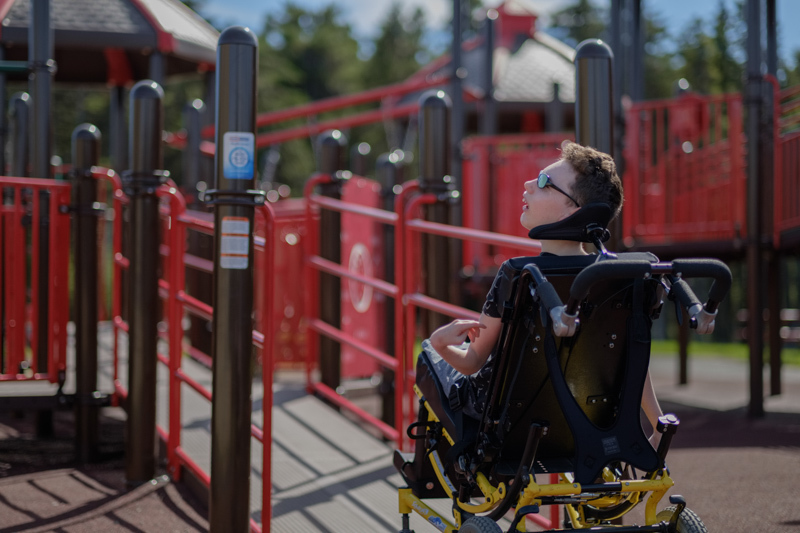 If you would like to help support Easter Seals NL programs for children with disabilities living in our province, or if you would just like to spend the day hanging out with Brennen and I, join us in Bowring Park on September 8th for the Run, Walk, Stroll & Roll! Click HERE for details!